There's something inherently odd about missionaries. Now, I've met some nice ones. There were a couple of Mormons who dropped by last fall to chat with me about religion, and when I told them (amiably) that I was an atheist and really didn't think they'd convince me otherwise, they offered to help me stack firewood. I told them no, but I was kind of touched that they thought that since they couldn't help me in one way, they'd give a shot at helping with another. Then, there were the Jehovah's Witnesses, both female, who rang my doorbell on a blisteringly hot day a couple of summers ago. I was in the front yard weeding the garden, and heard them talking -- and I came out from around the corner of the house, shirtless, dripping with sweat, and disgustingly grimy. They looked a little shocked, but it was too late to retreat gracefully. That was one conversion attempt that I think they were perfectly glad to terminate unsuccessfully. So it takes a good degree of bravery to go on a mission, even in the relatively safe territory of the rural United States. You never know what you're going to run into -- and it could, of course, be much worse than half-naked gardeners. Add to that the additional risk of missionary work in other countries, where you could be putting your safety or even your life at risk, and you have to have some grudging admiration for these folks. But even so, there's something a little... condescending about the concept of missionaries. "Hey, you're probably wrong about everything you believe," they seem to be saying. "And since I'm right, let me tell you all about it!" Where they've been successful, missionaries have done a pretty fine job of eradicating not only preexisting religions, but local culture, artifacts, traditions, and sometimes language as well. Which is why the proposal by Pope Francis I to canonize Father Junipero Serra, the founder of 21 missions in 18th century California, has met with some pretty stiff opposition. The view that spiritual fathers should punish their sons, the Indians, with blows appears to be as old as the conquest of the Americas; so general in fact that the saints do not seem to be any exception to the rule. Whatever you think of his intentions and his methods, the outcome is certain; the Natives were forced to abandon their languages, customs, and kinship ties in favor of Serra's imposed Spanish culture and religion. Miranda Ramirez, whose Native ancestry can be traced back to people who were part of the Carmel Mission, said, "We lost everything (because of Serra)... We were not allowed to be with our people. We lost contact with cousins, we lost the family ties. Our language was gone." Steven Hackel, who has written a biography of Serra, was equally critical. "One can point to certain moments in the historical record when Serra does protect Indians," Hackel said in an interview with Al Jazeera America. "But the larger story I think is one in which his policies and his plans led to tremendous pain and suffering, most of it unintended on his part, among Native peoples. 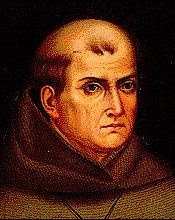 If one looks at the legacy of Serra's missions and what he was trying to do in California, there's no question that his goal was to radically alter Native culture, to have Indians not speak their Native languages, to practice Spanish culture, to transform Native belief patterns in ways that would make them much less Native. He really did want to eliminate many aspects of Native culture." Because the missions mixed different Native American groups together and forced all of them to give up much of their cultural identity, many of these groups cannot meet the requirements of continuous cultural and geographical identity required to be federally recognized tribes, with the many benefits such recognition bestows. It’s one of the most painful ironies in California history — robbed of their culture by white missions the first time, and then, because of that first theft, robbed by the U.S. government a second time. The pope cited Serra’s role as the “evangelizer of the West” in announcing his canonization. But many see his role more as one of forced conversion rather than persuasive evangelism. I’m sure the pope realizes this; the church has recognized in the past, at least, that there were some serious problems with California’s early mission history. Perhaps that seems like a regrettable but small part of the story from the viewpoint of the Vatican, but here in California, the irreparable harm done to Native Americans is not easily minimized. I know the argument in Serra's favor -- that he was a man of his time, that he honestly thought he was helping the Natives because he believed that without his intervention, they'd burn in hell for all eternity. Nonetheless, there's the troubling fact that his efforts pretty much singlehandedly destroyed an entire culture. So what do you do with someone who is acting out of what, for them, are pure motives, but who nonetheless (1) uses questionable means to attain those ends, and (2) is probably wrong in any case? The Muslim leaders in the Middle East who advocate publicly flogging and/or decapitating heretics are, after all, operating from much the same worldview. Better to punish one person severely for errors of faith rather than have everyone face the wrath of Allah. My own view, of course, is pretty unequivocal; the whole shebang is really just a bunch of antiquated superstition, and no one has a right to push anyone else into belief. Or disbelief, for that matter. We all are capable of using our brains, and if given the freedom, to evaluate the evidence we have and decide how we think the universe works. And to put it bluntly, that the Roman Catholic religion produced people like Serra should be more a cause for shame than celebration.